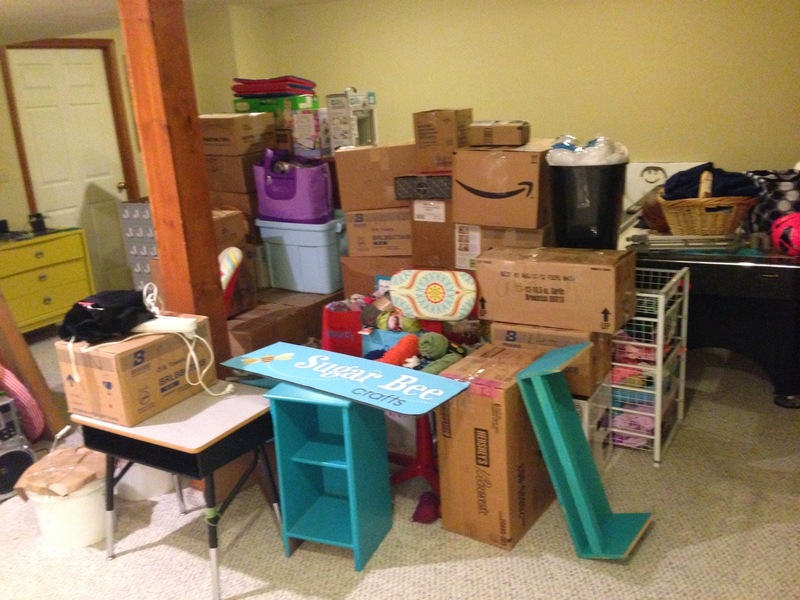 OK, so last week I asked the question of how many boxes it would take to pack up Mandy's craft room. I suppose I should have asked how many days it would take, seeing as Mandy did it in what I consider record time. 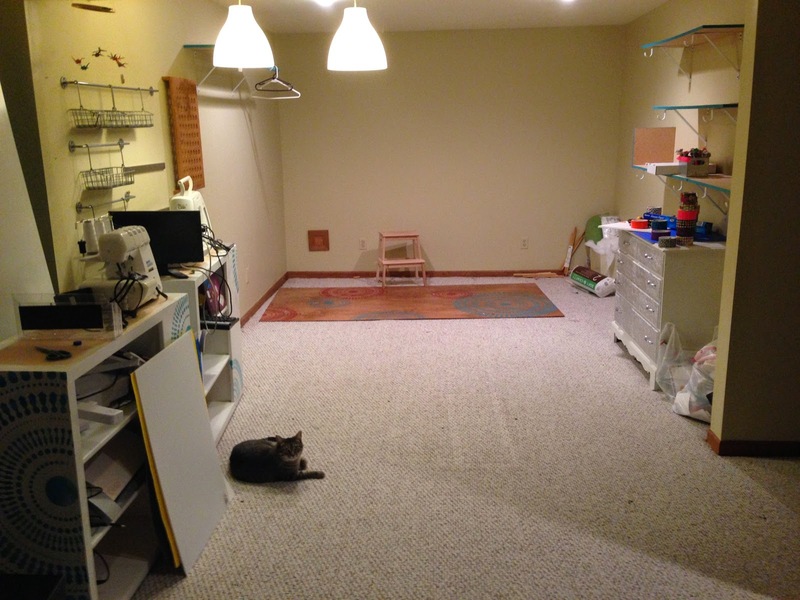 I came home from work Wednesday and she had packed up her (almost) entire craft room. What's more, she had sold the lovely set of cubicles she had used as a basis for her craft room furnishing for the past 6 years. Even better is that she sold them on Craigslist for $50 more than we had paid for them (meaning we now have $50). I know what you're thinking..."Trevor, that's amazing. It can't get any better than that." Except it does get better. She sold them to someone who came and disassembled them and hauled them off without my involvement. The only finger I had to lift in the whole process was that of putting my tools away after they were used in dis-assembly. But I'm willing to live with that. 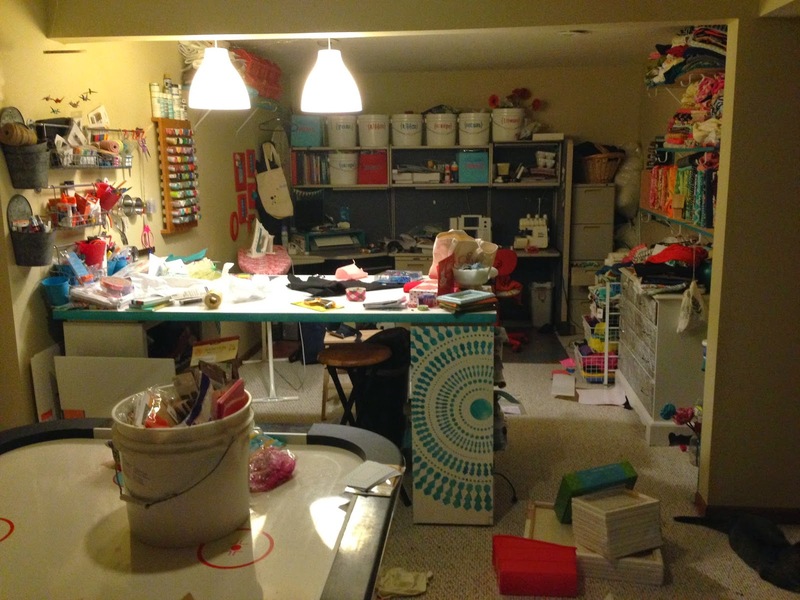 As a reminder, here's what the craftroom looked like as recently as last week. And here's what it looks like today. An amazing transformation. OK, I've hemmed and hawed long enough without getting to the point that you're actually here to discuss: the count of boxes. Drum roll, please. Granted, a few of those boxes were smallish in nature, but even so, that is an impressive figure. 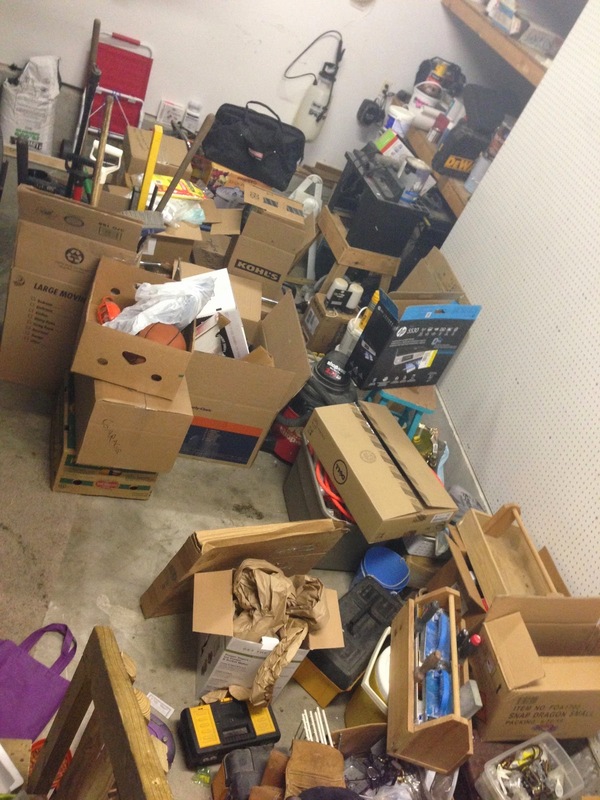 It's more than our four kids' belongings in total. 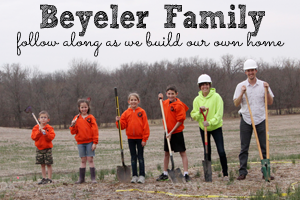 More than our kitchen, family room, and bathrooms combined. More than my garage collection of tools and do-dads, which is saying something. Of course, I'm not counting the riding lawn mower, go kart, motorcycle, table saw, router table, tool chest, etc. in my numbers, so I'm willing to call it a draw. Pretty impressive work on both sides. I can't even imagine how many boxes I'd need for my art studio/craft room.